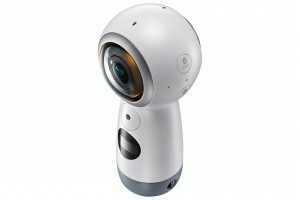 Samsung Electronics today announced the Samsung’s New Gear 360, a 4K resolution-capable 360-degree camera with a refined design for easier use. With enhanced features for high-quality content, the New Gear 360 is lightweight and compact, offering an expanded Samsung VR ecosystem. For the first time, the Gear 360 offers 4K video recording for immersive and realistic digital content. Equipped with 8.4-megapixel image sensors and Bright Lens F2.2 on both dual fisheye lenses, the Gear 360 can create high-resolution images. 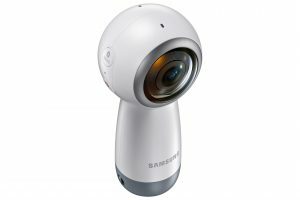 The New Gear 360 leverages Samsung’s innovative technologies and services to seamlessly share, view and edit content. Whether creating a 360-degree video or still images, users can access various viewing modes, editing tools and photo effects and filters to create customized content. Users can also effortlessly convert 360 videos into standard formats for easy-to-share content. The New Gear 360 is compatible with a selection of third-party accessories and mounts. The latest edition of the Gear 360 is compatible with Samsung flagship devices including the newly-released Galaxy S8 and Galaxy S8+, Galaxy S7, Galaxy S7 edge, Galaxy Note5, Galaxy S6 edge+, Galaxy S6, Galaxy S6 edge, Galaxy A5 (2017) and Galaxy A7 (2017). 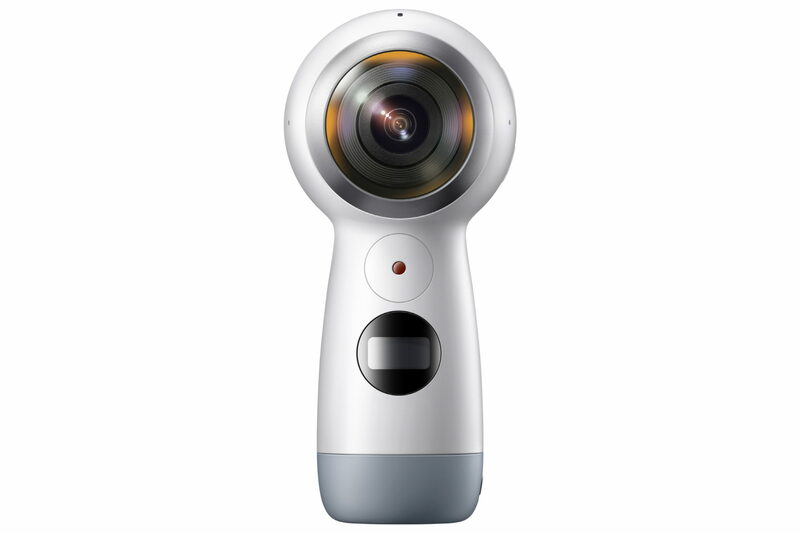 The Gear 360 also offers greater compatibility with iOS devices including the iPhone 7, iPhone 7 Plus, iPhone 6s, iPhone 6s Plus and iPhone SE, as well as Windows and Mac computers.